The best way to explore the wonders of Germany is with unlimited train rides for 3, 4, 5, 7, 10, or 15 consecutive days with the German Rail Pass (Consecutive). 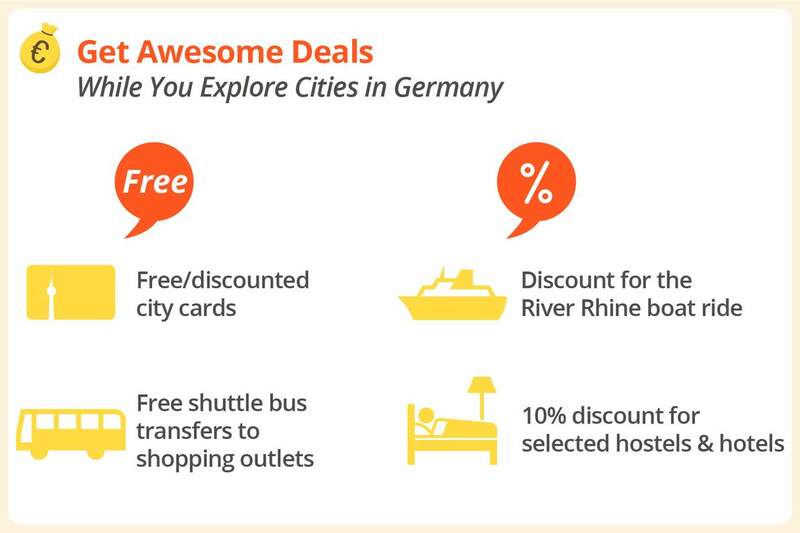 Explore iconic cities like Berlin, Munich, Leipzig, Frankfurt, and so much more! Simply make a booking, select the date you want to receive your pass via courier, get it activated before your travel date, and off you go. Conveniently travel around Germany using just one pass and have the freedom to hit the tracks any time and at your own leisurely pace. 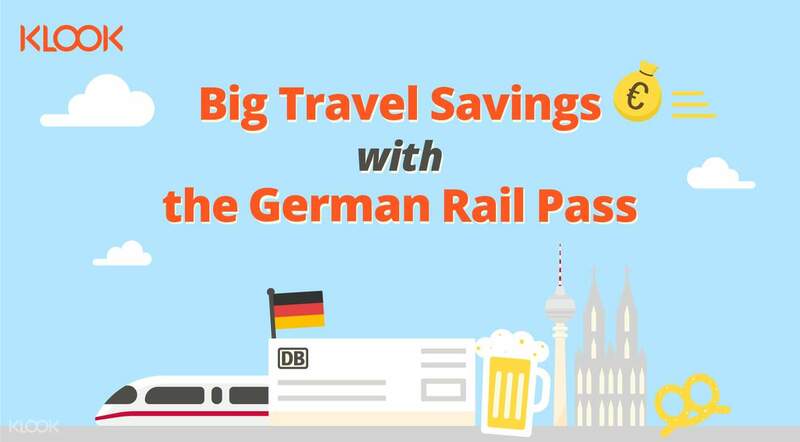 Not only that, The German Rail Pass comes with added benefits, giving you discounts on other means of transportation and attractions. It's the most convenient way to get around the land of poets and thinkers, and not to mention, the land of great beer! Very good and convenient. Receive the rail pass shortly after placing the order. Recommend to buy one of you are going to Germany! Very good and convenient. Receive the rail pass shortly after placing the order. Recommend to buy one of you are going to Germany! 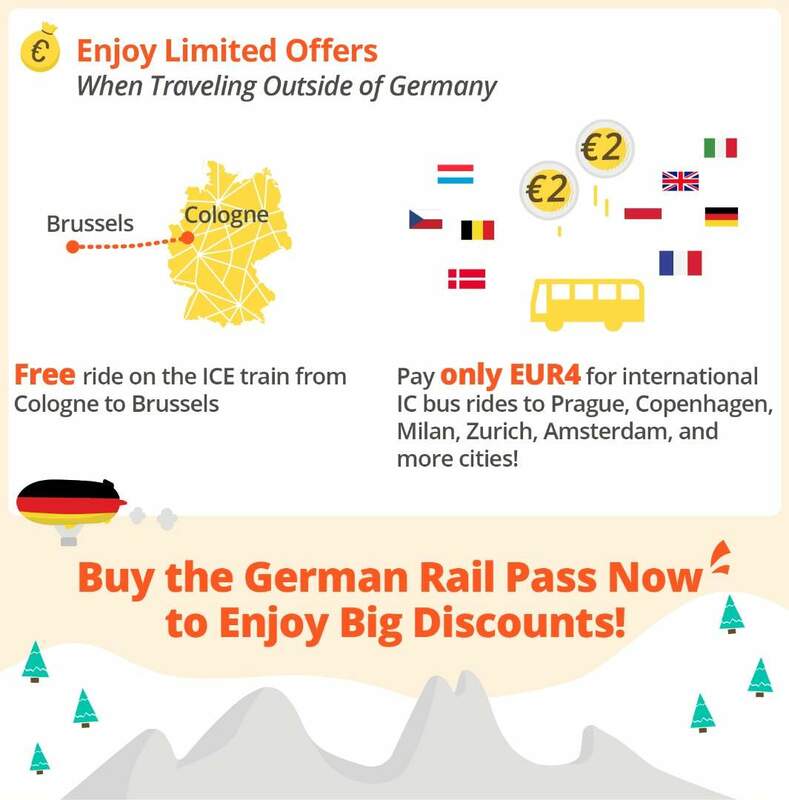 German rail pass, highly recommend to buy! excellent experience , easy and convenient for tourist! 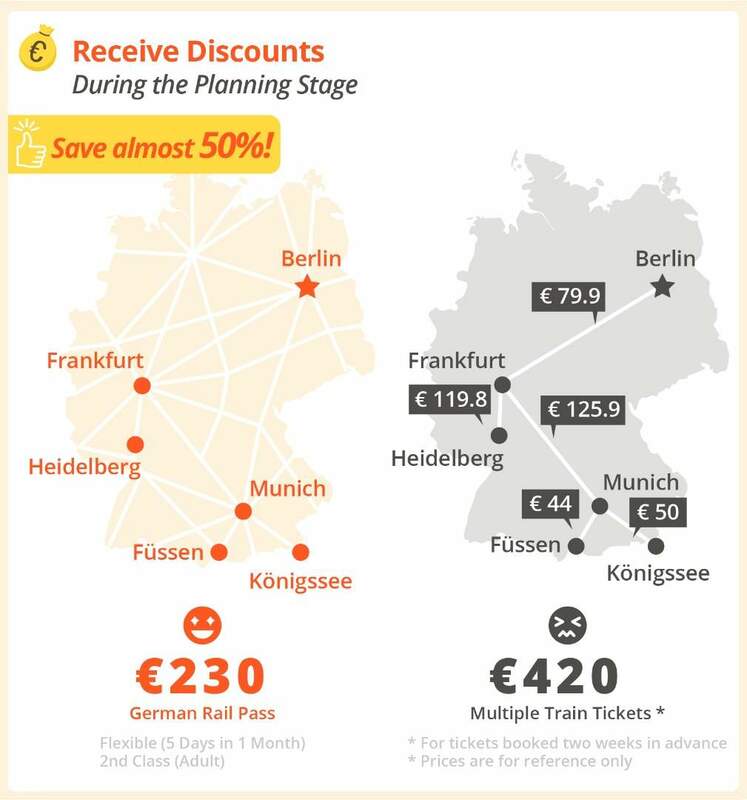 German rail pass, highly recommend to buy! excellent experience , easy and convenient for tourist! if you are travel from a city to another city in the germany, this is very worth it. 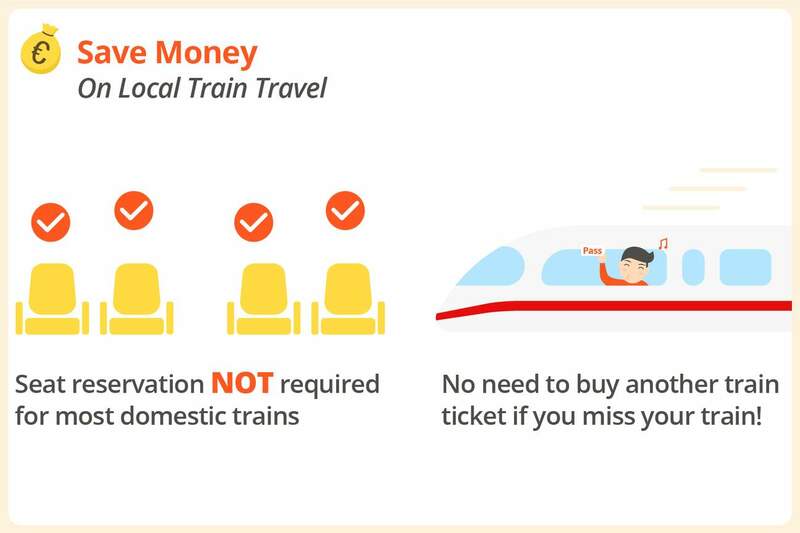 however, if you are travel inside a city alone, you may consider to buy the others passes. this pass is only can travel with DB and S bahn train, not all train can be used. in germany, there are many type of train / trum. if you are travel from a city to another city in the germany, this is very worth it. 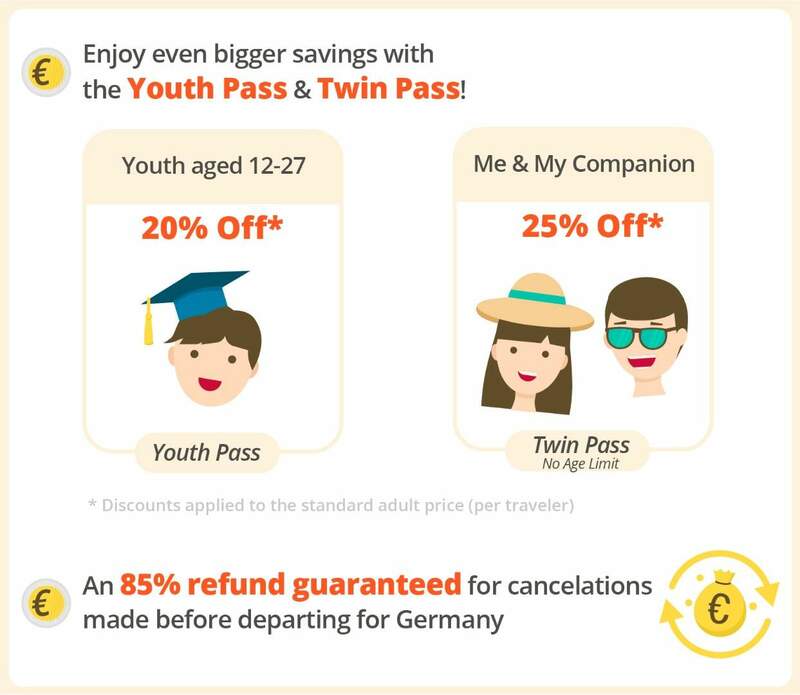 however, if you are travel inside a city alone, you may consider to buy the others passes. this pass is only can travel with DB and S bahn train, not all train can be used. in germany, there are many type of train / trum.